Next up is a module of work to help you learn a little more about our region, France and the European Union. The fact that you are living and learning in the Toulouse area is testament to how Europe has changed in the last 50 years. IST France Regions Jigsaw. A good buy from Baboo. Objective: To familiarise ourselves with some of the regions of France and to complete a mind mapping activity of the country as part of a team. France is separated into 'regions' and 'départements'. Toulouse is located in the region of Midi-Pyrénées and in the département of Haute Garonne. Each département has its own number and this relates to the post code and also to car registrations. Haute Garonne is number 31. If you drive around Toulouse, you will see that most cars have a number 31 on their registration plate. If you live in Haute Garonne, your postcode will start with the number 31 followed by three other numbers, e.g. 31770 Colomiers. If you go to central Paris, you will be in département 75 and so lots of cars with have this number on their registration plate. Do you know how many départements there are in France? 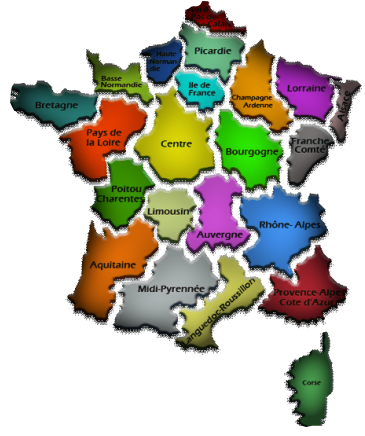 Starter - With a partner, have a go at completing the France Regions jigsaw. First one to finish wins! Group Task - Here is your blank mind map of France. In your teams, you have one minute to come to the front and study the completed mind map (educators - email for a copy if needed). The winning team will have the most accurate mind map completed using the same colours, titles and features. How is France divided up? Objective: To complete a piece of group work showing départements, regions and other physical and human features of France. Task 1 -Complete all tasks as set out on the worksheet below. Homework– Amazing Facts about France - Find out a Super Seven fascinating facts about France. Think about physical, human and environmental Geography. Page 4 or Geog.1 might help you out. Write them out in your book. Online quiz - Who can complete France Cities game the quickest? Read, steady, go!! OK, so you think that you're smart? - Regions of France game here. Much more difficult. Objective: To learn about a different DOM or TOM and to make a presentation to show to the rest of the group to teach them something new. Students to split into different groups and are allocated a DOM TOM location. 2.How long it takes to get there from France? 6.Make sure that you use words and images that would really impress the judges and make them want to travel there. 7.Don’t forget to be enquiring geographers! OK, so you know most of your regions and quite a few départements. What you need to do now is to create a display about one of the chosen regions in France. You will be allocated a region by drawing a name out of a hat. Follow the instructions below on how to complete your display. Computer smart people might even decide to do a quick Google Earth tour (if you know how to) of your allocated region. The sky is the limit. Today we are going to be learning about the members of Europe. There are, in total, 28 full members of the EU (Watch the unfolding situation in Greece), 14 part members and 2 applicants to become part of the 'EU gang'. What is a political map? 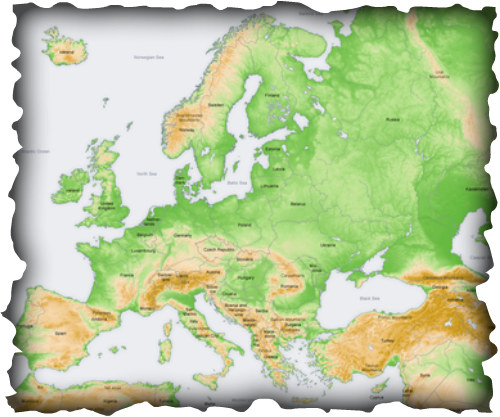 - The most important purpose of the political map is to show territorial borders i.e. where one country ends and another begins. This is why we use colour on political maps to differentiate between different countries. 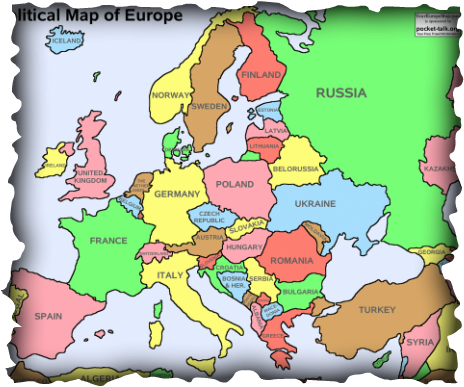 Task 2 - Complete the tasks on the Europe - Full Members - capital cities and border countries. Task 3 - Complete the tasks on the Europe - Part Members and Requesting Membership - capital cities. How much have you learnt? - Click here for a little interactive test. So, we have looked at the current political map of Europe, now it is time to focus our attentions on the physical side of things. Unlike a political map, a physical map shows natural features. Starter: Remember back to your first lesson. How many examples of physical features can you remember? Can we go around the classroom with everyone saying a different physical feature? Can you beat the time taken by the last class? Task 1 - You will need a suitable Atlas for this question. 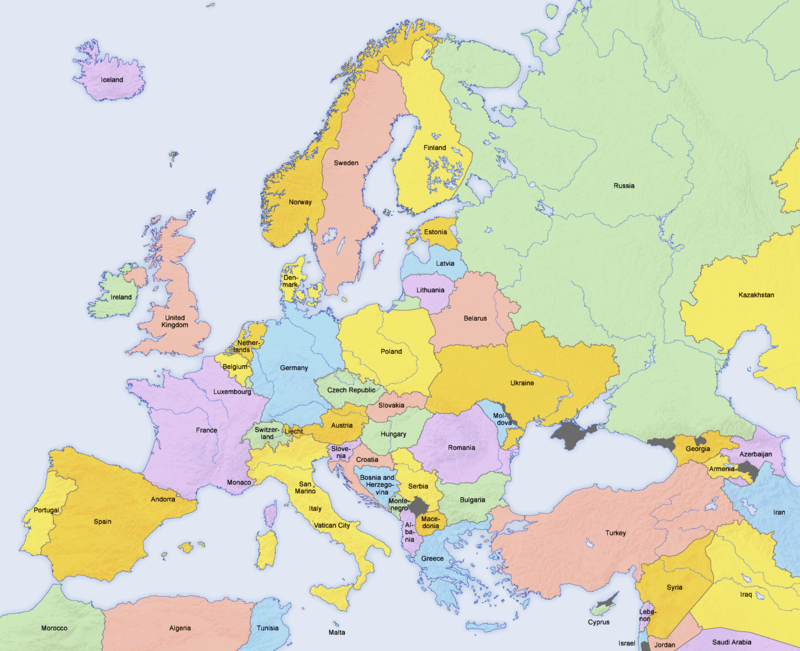 Look in the contents page and find a Physical Map of Europe. Found it?? Task 2 - Complete the tasks set out on the Europe Mapping worksheet. You will need to use colours associated with physical maps on your own version. Look carefully. What colours do you need? Europe - What's The Story? Objective: To be able to plot a timeline of events leading to Europe as we know it today. 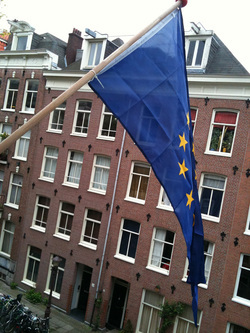 To look at some of the benefits of being a member state of the EU. Task 1 - Complete this timeline of events. This website might help you out. Task 2 - Complete this worksheet - What the EU does?